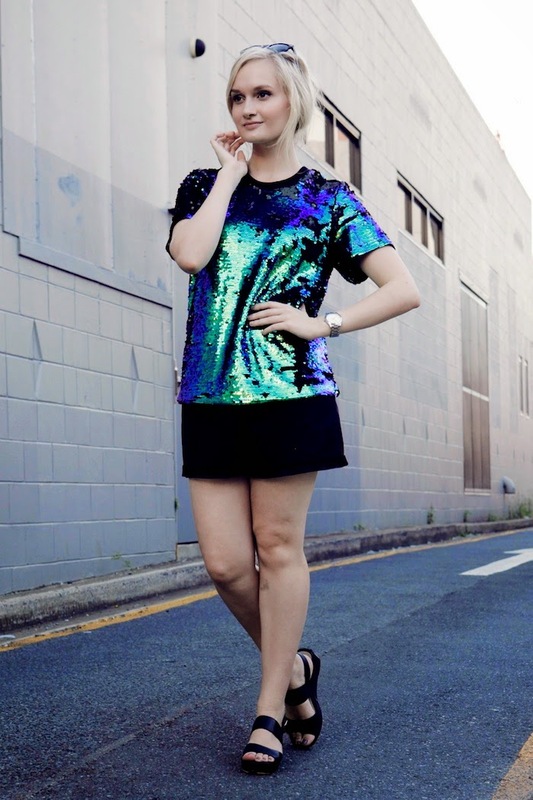 Casual sequins. I know, it sounds like an oxymoron. Before my eyes stumbled across this beauty I thought sequins were strictly reserved for school formals and grand nights out. Oh how I was wrong. And now that I have my very own sequin piece in my wardrobe (that isn't from my former dance class days), I'm pleasantly surprised by its versatility. Even this t-shirt itself is multipurpose. 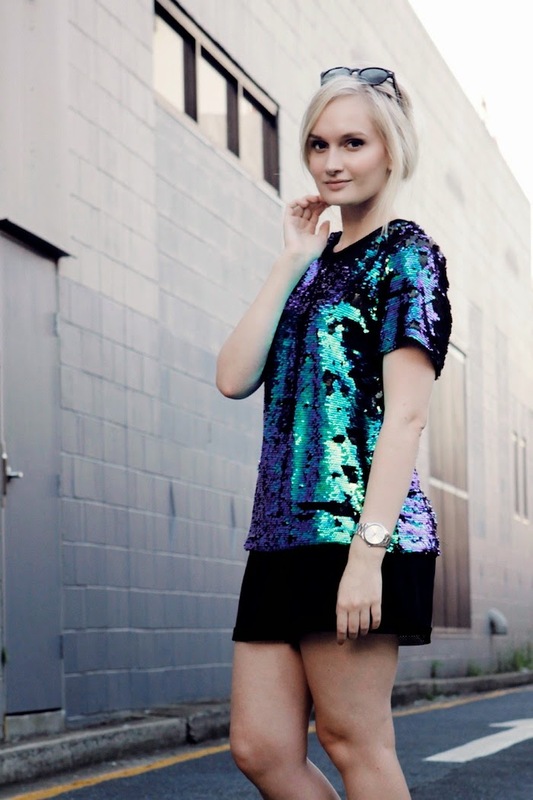 There's shiny blue/green sequins that make me feel like an urban mermaid. But then flip them over to reveal a more subdue matte black sequin. Cameo, you always know the way to my heart. Wearing: Cameo the label top, Chicabooti shorts, and Wittner shoes. 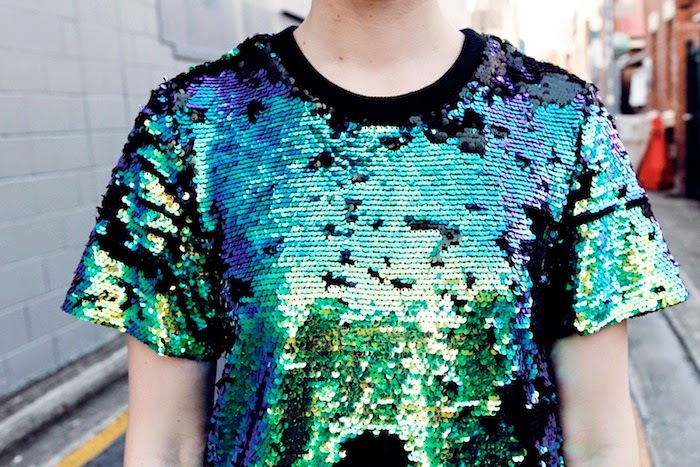 Have you used that sequin shirt a lot? Because I'm desperately searching for one and I am trying to tell myself that I wouldn't wear it that much. Or have you forgotten this already? If so I would be interested in buying this. Thanks for your comment. You just made my day. Remember to leave a link to your blog so I can check it out. Cheers. Hi. Hello. G'day. My name is Izzy. I am from Brisbane, Australia. I like many things, mostly clothes. And this, right here, is my blog.